At Our Children’s Center Montessori School, we strive to provide programs which meet the individual, developmental needs of our children throughout their day. In doing so, we offer the two different afternoon opportunities for children enrolled in our full day programs: Nap, and Enrichment. Determination on a child’s placement in these afternoon classes is made jointly with families. Due to class size and ratio requirements, children are rarely shifted from their original afternoon classroom, rather the classrooms adjust to the current needs of each child enrolled. 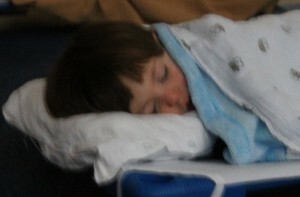 Both the Younger and Older Toddlers nap in the afternoons in their classrooms. 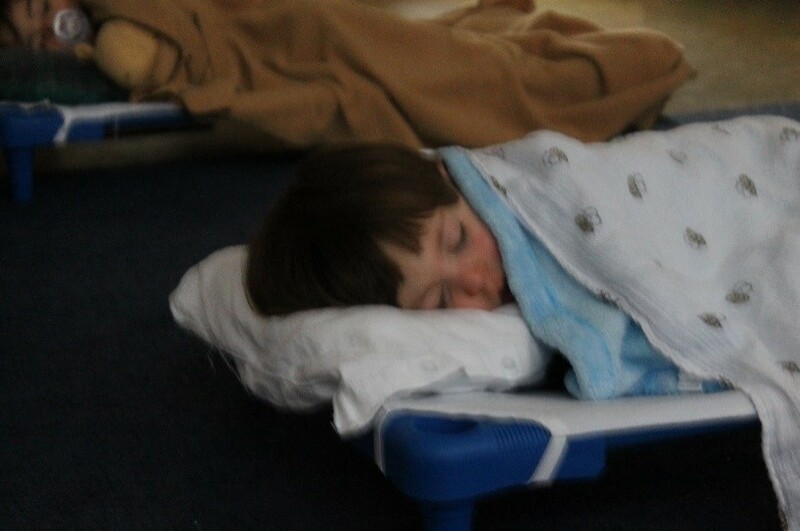 Younger Primary children nap in one of our upstairs classrooms. During this time, the classroom curtains are drawn, lights are dimmed, and soothing music is played. Teachers assist the children in calming their bodies. Gentle words, pats, and back rubbing aid each child into a pleasa nt slumber. Small cots and sheets are provided by OCC. Families are asked to provide blankets and “snugglies” to add to their child’s comfort. Typically, nap begins at approximately 1:00 and ends between 3:00 and 3:15. Although in the early weeks of the school year, napping may begin earlier, as the children are adjusting to the school routine. Near the end of the school year, Primary nap times are lessened as children show signs of needing less mid-day rest. Books, puzzles, and quiet activities are made available for those children who are awakening early. Explorer Program in one of our upstairs primary classrooms. Explorers begin each afternoon with a quiet rest time. Folding mats are provided and children are encouraged to relax their bodies for 30-40 minutes. Following the rest time, Explorers enjoy an afternoon focused primarily on nature exploration as well as continued Montessori opportunities. 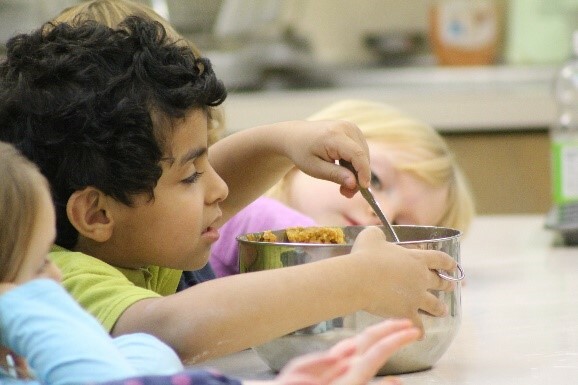 Older three and younger four year olds who have exhibited signs of requiring less mid-day resting, along with the Older Primary children, including our Kindergartners, participate in our Montessori Enrichment Afternoons. The focus of this program is to allow for more in-depth Montessori exploration and enhanced learning opportunities. Topics of study in the Enrichment program are designed to enrich and expand upon the units offered in the mornings. Afternoons in Enrichment are often filled with special activities, such as Cooking, Literature Circles, and Scientific Experimentation. In keeping with the Montessori Philosophy, we strongly encourage families to offer their children the opportunity to complete the full Three-Year Cycle in the Primary Classrooms. The Third-Year at OCC offers children a unique and wonderful opportunity to learn and develop across all developmental domains, with activities such as The Bank Game, the Bead Cabinet, the Farm, and the Sewing Baskets.